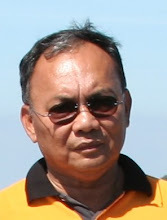 MBA welcomes ACP Osman Abu Bakar (Rtd) as its newest member! It is my pleasure to introduce to you, our newest registered member of the MBA, Retired Assistant Commissioner of the Royal Malaysian Police Force, Tuan Osman Abu Bakar! Tuan Osman is a 61 years old pensioner and is the brother of two of our nation’s greatest footballers hailing from Penang, Allahyarham Isa Bakar and the former skipper of Penang’s State Team Ali Bakar! Tuan Osman blogs at http://obee-mancuso.blogspot.com and is quite an avid Facebooker. He has served our nation well and traveled to many foreign countries as well in his line of duty. I am looking forward to reading more about his stint overseas and I am sure that MBA members will have lots to ask Tuan Osman as well? He lives with his wife at Bandar Tun Razak, Kuala Lumpur. Welcome to The Muslim Bloggers Alliance, sir! We wish you the best in your retirement and hope to hear more from you in the future. 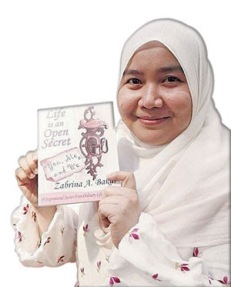 Keep blogging and sharing your news and views, Insya Allah! Comments Off on MBA welcomes ACP Osman Abu Bakar (Rtd) as its newest member! MBA welcomes Wan Mohd Sharif Wan Ali as its newest member! 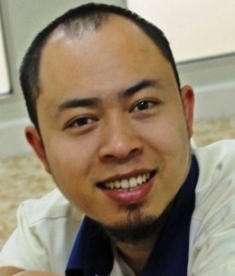 Please join me in welcoming Brother Wan Mohd Sharif bin Wan Ali as our latest registered MBA Blogger. 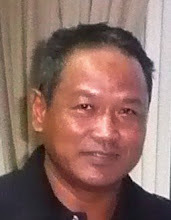 Brother Wan is a 57 years old Geophysicist and Project Manager with Petronas and works at Level 10, KLCC. Brother Wan can be reached through his email at orebule at yahoo.com. We hope you will enjoy being with us. 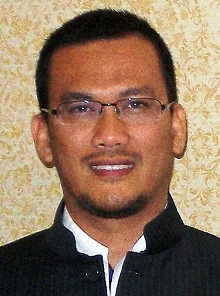 Comments Off on MBA welcomes Wan Mohd Sharif Wan Ali as its newest member! So when I decided.. yes I want to get back in the water – I hit a snag with the burqini coming in limited sizes – which didn’t include my size. 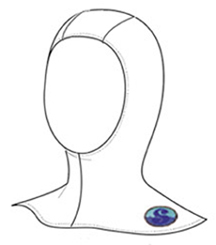 I found another company – Splash Gear –http://www.splashgearusa.com/ – Muslimah owned and operated in the US and purchased a swim hood to cover my hair. Please join me in welcoming Brother Haji S.Mohamed hailing from 1/277.Thai Colony,Vadakarai,Periyakulam Post, Theni-Dist.,Tamilnadu,India. 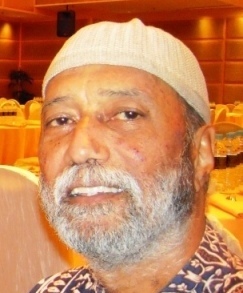 Haji S.Mohamed is a 59 years old Herbalist and practitioner of Alternative medicine. His life story is actually quite interesting and also one that is sad for he has been robbed of his shining moment by the usual culprits whom we can only label as the ‘Little Napoleons’ over there in his home district of Kodaikanal, a hill station and resort area similar to our Cameron Highlands, here in Malaysia. Kodaikanal (Tamil: கொடைக்கானல்) is a city in the hills of the taluk division of the Dindigul district in the state of Tamil Nadu, India. Its name in the Tamil language means “The Gift of the Forest”. Kodaikanal is referred as the “Princess of Hill stations” and has a long history as a retreat and popular tourist destination. It’s a lot cooler in temperature than lower elevation cities such as Chennai. You can learn more about the trials and tribulations that Haji S.Mohamed had to go through by visiting his blog Garden Villa – Islamic Village here. From what I can sense is the ‘never say die’ attitude on the part of Haji S.Mohamed as he battles bureaucracy in his home state and fights against all odds to make life a bit more better for him and his loved ones plus the general population of his home state if not country, India. He has been a social worker and started an NGO named ‘Institute for Cultural Unity’ way back in 1976. At the end of 2000 he started his Ayurvedic Treatment Centre named Kodaispa in Kodaikanal Town. “PanchaKarma” is the type of Ayurveda treatment that Haji S.Mohamed embarked upon. He ran the Kodaispa from 2002 till 2006. Haji Mohamed has fully engaged in the field of Alternative Health Care and written a thesis for his PhD.in Alternative Medicine titled“Eastern Philosophy of Mind-Body interaction and the Herbal Mind Set of Tribals in Kodai Hills”. As a part of this thesis- a Preliminary Study was conducted to find out and identify the herbal plants located in the Kodai Hills. Around 104 species of herbs were identified. Out of these, 30 Herbs were found to be indigenous and commercially viable to be farmed and harvested to be processed and sold as alternative medicine. Unfortunately, it was later discovered that these valuable herbs were being rooted out illegally by unauthorized parties. To preserve these herbs Haji S.Mohamed formulated a project proposal under the scheme of “National Medicinal Plant Board, Government of India”. The central theme of that project was to declare the Herbs as the wealth of the local community in front of the Honorable President of India – so that nobody could not procure these Herbs without the knowledge and permission of the local community. As usual the higher officials were in favour of Haji S.Mohamed’s project but he couldn’t convince the local officials into supporting him. Mr. Hussain, The Assistant Director of Horticulture, Kodaikanal and his team rejected Haji S.Mohamed’s project proposal out-rightly and the project came to an abrupt end. The usual hasad and envy of those who can’t allow others to succeed and prosper. Hmmm..
We have the same problem over here too, Haji! The demons in human form are everywhere around the globe. Due to this pain as well as to take care of his children’s education, Hj Mohamed shifted his family to Periyakulam, a small Town on the foothills of the Western Ghats bordering the neighbouring state of Kerala. It is one of the most fertile places in the state of Tamil Nadu. Agriculture is the primary occupation for the population here. It is also known as the “Mango City”, as a major supply of mangoes from this city goes into Tamil Nadu’s mango output. Haji S.Mohamed leased out his Pancha Karma Treatment Centre to a Keralist Ayurvedic Group. 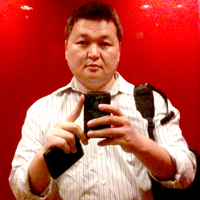 Due to his financial crises, he was forced to sell his Kodaispa Building in January 2008. Hence the Kodaispa came to an end.It stands on the bank of the ‘Varaha’ (in Hindu mythology, Lord Maha Vishnu’s Boar incarnation) river. It is a fertile area that has an annual supply of surplus rainfall. The villages of this district are T.Kallipatti, Vadugapatti and Melmangalam, that are also located on the banks of the Varaha River. Haji S.Mohamed’s family comprises of 13 households, settled in different places after his marriage. They were forced to sell their 40 Acres of cultivable land in the Kodai Upper Hills. As a result of his having to deal with many Real Estate Agents, Builders and Plot Promoters. In the process of the selling of his family’s landed properties, he ended up as a Realtor himself. Thus is the life story and struggles of our latest MBA member. He has gone through the gauntlet of fire, having had to deal with those who do not care of destroying the chances and opportunities of others in their greed and arrogance of holding temporal authority and governmental power here in this world. He is now into real estate and also farming herbal medicinal plants to continue his jihad to earn a living and provide for his beloved family. On behalf of the Muslim Bloggers Alliance, I would like to extend a warm welcome to you sir and wish you all the best in your future undertakings and hope that you will continue to blog about the progress of your herbal farms and the situation of Muslims living there in the hill resorts of your home area. Personally, I love seeing all those wonderful scenes showing your home hill resorts when I did my Google search for images of Kodaikanal. Kodaikanal is truly beautiful and I am sure would be a great place to grow and farm your herbal gardens. I’d love to visit your hill resort if I have the time and the means. 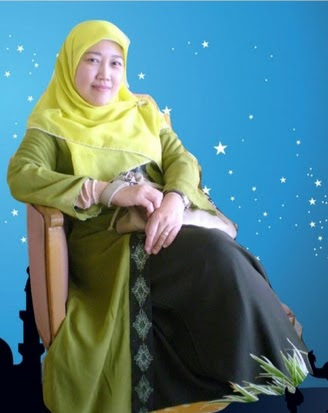 Insya Allah. What a shame that Mr. Hussain, The Assistant Director of Horticulture, Kodaikanal evil heartedly threw a spanner in your works! 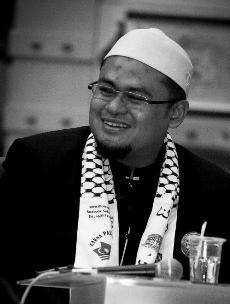 He will get his dues, Insya Allah. Never mind him, Brother Haji. You just go ahead and go achieve your dreams. Prove to the fella that he was wrong in denying you your vision and noble mission. I am sure that with your firm attitude and aptitude, you can still achieve what you first set out to do! We who are now your MBA brothers and sisters will make do’a for your success. Amin Ya Allah! Amin Ya Rabb! In the meantime, you are most welcome to share with us your news and views by posting to the e-group here. Once again, Welcome to The Muslim Bloggers Alliance. May Allah bless us all and make life for us a bit more better both here in this life and in the next, Insya Allah. Assalamualaikum Warahmatullahi Wabarakatuh to all MBA members. The MBA is now blessed with the entrance of a computer and IT expert into our alliance with the registration of Brother Azizul Haji Abdul Karim otherwise known as KINGZUL as our latest member. 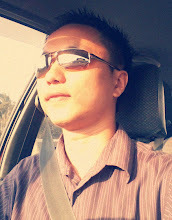 He is married with 3 children and lives in Bandar Sri Permaisuri, Cheras, KL. Conducts computer classes for individuals or small groups. You may contact Azizul by phone at 012-292 3010 or through his email at kingzul at gmail.com. 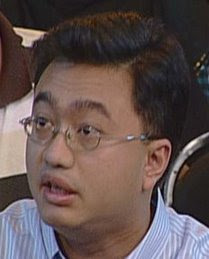 He blogs at Utusan Rakyat. On behalf of the MBA, I wish you the best in your career, blogging and life! Ahlan Wa Sahlan Ya Akhi! 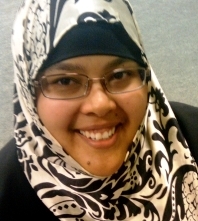 MBA welcomes Dr.Norshinah Kamarudin, our latest member! 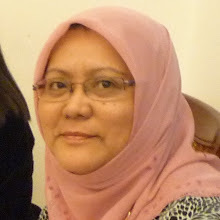 It gives me the greatest pleasure to introduce to you and welcome our latest registered member, Dr.Norshinah Kamarudin (photo) to our alliance. 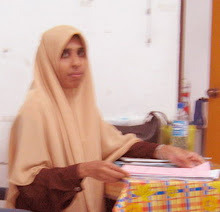 Dr.Norshinah, 51, is a medical doctor and she also runs a care providing home. 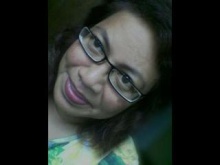 Dr. Norshinah blogs at http://rainbowoftruth.blogspot.com. I wish you all the best and hope that you will stir up things here with your dynamic enthusiasm and inject some life into our group. Come give us some stir me up articles! 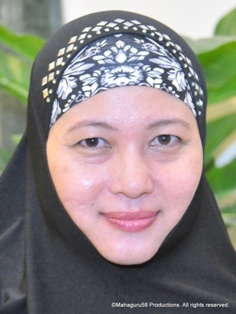 Comments Off on MBA welcomes Dr.Norshinah Kamarudin, our latest member! Khir Toyo’s bungalow purchase contravenes Surah Al Baqarah 2:188! I have been following the case of the former MB of Selangor Dato Seri Khir Toyo’s extremely discounted bungalow purchase fiasco since the matter went to court. Frankly speaking, I feel that Khir Toyo has breached the moral grounds as a Muslim leader by underpaying his fellow Muslim for such a prime landed property. Even if it is said that it was a willing seller and willing buyer thingy, there is such a condition where a Muslim must not misappropriate the property of his fellow Muslim or even that of a disbeliever by making a payment way below the market price as has been the facts of this case. It is so crystal clear that in the case of Khir Toyo knowingly buying his brother Muslim’s property way below the market price is a crime that will be punished by Allah Azza Wa Jalla in the Hereafter. One does not need to wait till a court decides otherwise. Surely one who was once the Menteri Besar @ Chief Minister of a state ought to know better than to short change his brother Muslim by such a preposterously huge amount or even any amount for the matter? What is this earthly life if not a temporal stage of our existence as a servant of Allah? All these worldly trappings and wealth will come to no good when our time is up and we are called to return to Him, the Malikul Mulk, Dzul Jalali Wal Iqram. The best thing for Khir Toyo to do would be to re-compensate his brother Muslim with the difference of the purchase price according to the current market pricing and pay a penalty if the court so decides? I wonder how one can sleep in peace knowing that one has committed such an obvious injustice against another and raise one’s family in such an ill gotten abode? May Allah grant us all a life that is free from such trials and tribulations. Comments Off on Khir Toyo’s bungalow purchase contravenes Surah Al Baqarah 2:188! All the praise and Thanks are due to Allāh, the Lord of the al-ā’lamīn. I testify that there is none worthy of worship except Allāh, and that Muhammad, sallallāhu alaihi wa sallam, is His Messenger. Yahya ibn Abu Kathir reported: I and ‘Abdullah ibn Yazid set out till we came to Abu Salamah. We sent a messenger to him (in his house in order to inform him about our arrival) and he came to us. There was a mosque near the door of his house, and we were in that mosque, till he came out to us. He said: If you like you may enter (the house) and, if you like, you may sit here (in the mosque). We said: We would rather sit here and (you) relate to us. I (Ibn Amr) used to observe fast uninterruptedly and recited the (whole of the) Qur’ān every night. It was mentioned to Rasūlullāh (Sallallāhu ‘alaihi wa sallam) or he sent for me, and I went to him and he (Sallallāhu ‘alaihi wa sallam) said to me: I have been informed that you fast continuously and recite (the whole of the Qur’ān) every night. I said: O Rasūlullāh, it is right, but I desire thereby nothing but good, whereupon he (Rasūlullāh Sallallāhu ‘alaihi wa sallam) said: It suffices for you that you should observe fast for three days during every mouth. I said: O Rasullulāh, I am capable of doing more than this. He (Sallallāhu ‘alaihi wa sallam) said: Your wife has a right upon you, your visitor has a right upon you, your body has a right upon you; so observe the fast of Dawud, the Apostle of Allāh (‘alaihissalam), for he was the best worshipper of Allāh. I said: O Rasūlullāh, what is the fast of Dawud? He (Sallallāhu ‘alaihi wa sallam) said: He used to fast one day and did not fast the other day. He (Sallallāhu ‘alaihi wa sallam) (also) said: Recite the Qur’an during every month. I said: O Rasūlullāh, I am capable of doing more than this, whereupon he (Sallallāhu ‘alaihi wa sallam) said: Recite it in twenty days; recite it in ten days. I said: I am capable of doing more than this, whereupon he (Sallallāhu ‘alaihi wa sallam) said: Recite it every week, and do not exceed beyond this, for your wife has a right upon you, your visitor has a right upon you; your body has a right upon you. He (‘Amr ibn ‘As) said: I was hard to myself and thus I was put to hardship. Rasūlullāh (Sallallāhu ‘alaihi wa sallam) had told me: ‘You do not know you may live long (thus and bear the hardships for a long time), and I accepted that which Rasūlullāh (Sallallāhu ‘alaihi wa sallam) had told me. When I grew old I wished I had availed myself of the concession (granted by) Rasūlullāh (Sallallāhu ‘alaihi wa sallam). This hadith has been narrated by Yahya ibn Abu Kathir with the same chain of transmitters and he made this addition after these words: During every month, (fasting) for three days, there is for you ten times for every good and that is perpetual fasting (for three days would bring a reward for full thirty days). I said: What is the fast of the Apostle of Allāh, Dawūd? He said: Half of the age (observing fast on alternate days for the whole life). And in the hadith no mention has been made of the recital of the Qur’an, and he did not say: Your visitor has a right upon you, but (instead) he said: Your son has a right upon you. ‘Abdullah ibn ‘Amr ibn al-‘As (radiallāhu’anhu) reported that Rasūlullāh (Sallallāhu ‘alaihi wa sallam) was informed that he could stand up for (prayer) throughout the night and observe fast every day so long as he lived. ThereuponRasūlullāh (Sallallāhu ‘alaihi wa sallam) said: Is it you who said this? I said to him: Rasūlullāh, it is me who said that.Thereupon Rasūlullāh (Sallallāhu ‘alaihi wa sallam) said: You are not capable enough to do so. Observe fast and break it; sleep and stand for prayer, and observe fast for three days during the month; for every good is multiplied ten times and this is like fasting forever. I then said: Rasūlullāh, I am capable of doing more than this. Thereupon he (Rasūlullāh Sallallāhu ‘alaihi wa sallam)said: Fast one day and do not fast for the next two days. I said: Messenger of Allāh, I have the strength to do more than that. Rasūlullāh (Sallallāhu ‘alaihi wa sallam) said: Fast one day and break on the other day. That is known as the fasting of Dawud (‘alaihissalam) and that is the best fasting. I said: I am capable of doing more than this. Thereupon Rasūlullāh (Sallallāhu ‘alaihi wa sallam) said: There is nothing better than this. ‘Abdullah ibn ‘Amr (radiallāhu’anhum) said: Had I fasted the three days (fasting during every month) as Rasūlullāh (Sallallāhu ‘alaihi wa sallam) had said, it would have been dearer to me than my family and my property. ‘Abdullah ibn ‘Amr ibn al-‘As (radiallāhu’anhu) reported that Rasūlullāh (Sallallāhu ‘alaihi wa sallam) said: ‘Abdullah, don’t be like so and so who observed prayer during the whole night and then abandoned it (altogether). Abdu’llah ibn ‘Amr ibn ‘As (radiallāhu’anhum) reported: It was conveyed Rasūlullāh (Sallallāhu ‘alaihi wa sallam) that I observe fast successively and pray during the whole night. He sent for me or I met him and he (the Holy Prophet) said: It has been conveyed to me that you observe fast continuously and do not break it and pray during the whole night. Don’t do that. for there is share for your eyes, share for your own self, share for your family; so observe fast and break it, pray and sleep and observe fast for one day during the ten days, and there is a reward for you (for other) nine (days besides the tenth day of the fast). I said: Rasūlullāh, I find myself more powerful than this. He said: Then observe the fast of Dawud (‘alaihissalam). He (‘Amr) said: Apostle of Allāh, how did Dawud observe fast? He (Rasūlullāh) said: He used to fast one day and break it on the other day, and he did not run (from the battlefield) as he encountered (the enemy). He said: Apostle of Allāh, who can guarantee this for me (will I also encounter the enemy dauntlessly)? ‘Ata’, the narrator of the hadith, said: I do not know how there (crept in) the matter of perpetual fast.Rasūlullāh (Sallallāhu ‘alaihi wa sallam) however, said: He who observed perpetual fast did not fast at all; he who observed perpetual fast did not fast at all, he who observed perpetual fast did not fast at all. This hadith has been narrated by Ibn Juraij with the same chain of transmitters. Imam Muslim has narrated this hadith on the authority of Abu ‘Abbas al-Sa’ib ibn Farrukh and he was a trustworthy and reliable (narrator) among the people of Makkah. Abdullah ibn ‘Amar (radiallāhu’anhu) reported: Rasūlullāh (Sallallāhu ‘alaihi wa sallam) said to me: ‘Abdullah ibn ‘Amr, you fast continuously and stand in prayer for the whole of night. If you do like that, your eyes would be highly strained and would sink and lose sight. There is no (reward for) fasting (for him) who fasts perpetually. Fasting for three days during the month is like fasting, the whole of the month. I said: I am capable of doing more than this, whereupon he said: Observe the fast of David. He used to fast one day and break (the other) day. And he did not turn back in the encounter. ‘Abdullah ibn ‘Amr (radiallāhu’anhu) reported: Rasūlullāh (Sallallāhu ‘alaihi wa sallam) said to me: I have been informed that you stand for prayer the whole of night and fast during the day. I said: I do that, whereupon he(Sallallāhu ‘alaihi wa sallam) said: If you did that you in fact strained heavily your eyes and made yourself weak. There is a right of your eyes (upon you) and a right of yourself (upon you) and a right of your family (upon you). Stand for prayer and sleep. Observe fasts and break (them). ‘Abdullah ibn ‘Amr (radiallāhu’anhu) reported Rasūlullāh (Sallallāhu ‘alaihi wa sallam) as saying: With Allāh the best fasting is that of Dawud and the best prayer is that of Dawud (‘alaihissalam) for he slept half of the night and stood for prayer for the third of it and (then) slept the sixth part of it and he observed fast one day and broke on the other. ‘Abdullah ibn ‘Amr ibn al-‘As reported Rasūlullāh (Sallallāhu ‘alaihi wa sallam) as saying: The best fasting in the eye of Allāh is that of David, for he fasted for half of the age (he fasted on alternate days), and the best prayer in the eye of Allāh, the Exalted and Majestic, is that of Dawud (‘alaihissalam), for he slept for half of the night and then stood for prayer and then again slept. He prayed for one-third of the night after midnight. He (the narrator) said: I asked ‘Amr ibn Dinar whether ‘Amr ibn Aus said that he stood for prayer one-third of the night after midnight. He said: Yes. Abu Qatadah reported that Abu al Malik informed me: I went along with your father to ‘Abdullah ibn ‘Amr, and he narrated to us that Rasūlullāh (Sallallāhu ‘alaihi wa sallam) was informed about my fasting and he came to me, and I placed a leather cushion filled with fibre of date-palms for him. He sat down upon the ground and there was that cushion between me and him, and he said to me: Does three days’ fasting in a month not suffice you? I said: O Messenger of Allāh, (I am capable of observing more fasts). He said: (Would) five (not suffice for you)? I said:Rasūlullāh, (I am capable of observing more fasts) He said: (Would) seven (fasts) not suffice you? I said: Messenger of Allāh, (I am capable of observing more fasts). He (the Prophet) then said: (Would) nine (fasts not suffice you)? I said: Messenger of Allāh, (I am capable of observing more fasts). He said: (Would) eleven (fasts not suffice you)? I said: Rasūlullāh, (I am capable of observing more fasts than these). Thereupon Rasūlullāh (Sallallāhu ‘alaihi wa sallam)said: There is no fasting (better than) the fasting of David which comprises half of the age, fasting a day and not fasting a day. Abu Qatadah (radiallāhu’anhu) reported that a person came to Rasūlullāh (Sallallāhu ‘alaihi wa sallam) and said: ORasūlullāh, How do you observe fast? Rasūlullāh (Sallallāhu ‘alaihi wa sallam) felt annoyed. When ‘Umar Al-Khattab (radiallāhu’anhu) noticed his annoyance, he said: We are well pleased with Allāh as our Lord, with Islām as our Code of Life, and with Muhammad as our Prophet. We seek refuge with Allāh from the anger of Allāh and that of His Messenger. ‘Umar kept on repeating these words till he calmed down. Then Umar said: O Messenger of Allāh, what is the position of one who perpetually observes fasts? Thereupon he(Rasūlullāh Sallallāhu ‘alaihi wa sallam) said: He neither fasted nor broke it, or he said: He did not fast and he did not break it. He (‘Umar) said: What about him who observes fast for two days and breaks one day. There upon he(Rasūlullāh Sallallāhu ‘alaihi wa sallam) said: Is anyone capable of doing it? He (‘Umar) said: What is the position of him who observes fast for a day and breaks on the other day? Thereupon he (Rasūlullāh Sallallāhu ‘alaihi wa sallam) said: That is the fast of Dawud (‘alaihissalam). He (‘Umar) said: What about him who observes fast one day and breaks it for two days. Thereupon he (Rasūlullāh Sallallāhu ‘alaihi wa sallam) said: I wish, I were given strength to observe that. Thereafter he (Rasūlullāh Sallallāhu ‘alaihi wa sallam) said: The observance of three days’ fast every Month and that of Ramadān every year is a perpetual fasting. I seek from Allāh that fasting on the day of ‘Arafah may atone for the sins of the preceding and the coming years, and I seek from Allāh that fasting on the day of Ashura may atone for the sins of the preceding year. Abu Qatadah al-Ansari (radiallāhu’anhu) reported that Rasūlullāh (Sallallāhu ‘alaihi wa sallam) was asked about his fasting. Rasūlullāh (Sallallāhu ‘alaihi wa sallam) felt annoyed. Thereupon ‘Umar (radiallāhu’anhu) said: We are pleased with Allāh as the Lord, with Islām as our Code of Life, with Muhammad as the Messenger and with our pledge (to you for willing and cheerful submission) as a (sacred) commitment. He was then asked about perpetual fasting, whereupon he Rasūlullāh (Sallallāhu ‘alaihi wa sallam) said: He neither fasted nor did he break it, or he did not fast and he did not break it. He was then asked about fasting for two days and breaking one day. He (Rasūlullāh Sallallāhu ‘alaihi wa sallam) said: And who has strength enough to do it? He was asked about fasting for a day and breaking for two days, whereupon he Rasūlullāh (Sallallāhu ‘alaihi wa sallam) said: May Allāh bestows upon us strength to do it. He was then asked about fasting for a day and breaking on the other, whereupon he (Sallallāhu ‘alaihi wa sallam)said: That is the fasting of my brother Dawud (‘alaihissalam). He (Sallallāhu ‘alaihi wa sallam) was then asked about fasting on Monday, whereupon he (Sallallāhu ‘alaihi wa sallam) said: It was the day on which I was born, on which I was commissioned with prophethood or revelation was sent to me, (and he (Sallallāhu ‘alaihi wa sallam) further) said: Three days’ fasting every month and of the whole of Ramadān every year is a perpetual fast. He (Sallallāhu ‘alaihi wa sallam) was asked about fasting on the day of ‘Arafah (9th of DzuI-Hijjah), whereupon he(Sallallāhu ‘alaihi wa sallam) said: It expiates the sins of the preceding year and the coming year. He (Sallallāhu ‘alaihi wa sallam) was asked about fasting on the day of ‘Ashura (10th of Muharram), whereupon he(Sallallāhu ‘alaihi wa sallam) said: It expiates the sins of the preceding year. (Imām Muslim said that in this hadith there is a) narration of Imam Shu’ba that he was asked about fasting on Monday and Thursday, but we (Imām Muslim) did not mention Thursday for we found it as an error (in reporting).